Congratulations on your acceptance to the University of Pennsylvania! 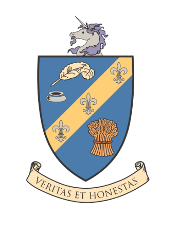 Please explore our offerings as a house: our events, our faculty, and our community! We hope you'll come to call Riepe home. Questions about the Housing Selection Process? Take a look at some of the helpful links below! Welcome to Your College House! Theme Communities in the College Houses -- look for Riepe's programs: Digital Humanities, Living Cultures, and Mentors Program! Congratulations on joining the Penn community! We’re all very excited to greet you in person when you arrive on campus. Riepe College House is a fantastic place to live and we’re looking forward to showing you why. I’m the Faculty Director of the house, and you’ll be able to find me in Ward 205, where I live with my wife Ellen. I teach in the Department of Classical Studies. As a classicist, I spend much of my time thinking about the ancient world, and am fascinated by pretty much any aspect of pre-modernity. But it’s the connections with our own world that especially excite me, whether it’s comparing ancient and modern comedians or political theorists. Ellen worked for several decades in the banking world as both a lawyer and businessperson, and currently serves on the boards of the Presser Foundation, The Musical Fund Society and the Alliance Française. She also volunteers in the library of the Lea School for the West Philadelphia Alliance for Children. Ellen and I have many interests that go well beyond the academic, and are eager to share them with you—music, theater, art, and cooking. Anyone who wants to become initiated into the mysteries of pulling the perfect shot of espresso will definitely want to stop by our Sunday Open Houses. And while you’re over enjoying an espresso or cappuccino, fresh squeezed orange juice and treats, you can listen to music on my vacuum tube stereo equipment. We still have a turntable, and lots of LPs. The specialty of the house is jazz, but we have lots of classical music, rock, hip-hop and indie pop as well. We hope you’ll share your favorites with us, too. During the year we also host a monthly ‘Dinners for Ten’ series, in which small groups of you can have dinner and conversation in our apartment with a special guest from Penn’s faculty or someone in the community. We hope you’ll all have a chance to attend some of these. Dr. Amy Stornaiuolo lives with her husband Vincenzo in McIlhenney (first floor). She leads the Riepe Mentors Program and reaches out to undergraduates interested in education, digital literacies, urban issues, and cross-cultural dialogue online. She is also director of the Education Minor in Urban Education and can advise people interested in learning about education at Penn. Amy and Vincenzo are former restaurateurs, and they use their cooking expertise to provide amazing pasta dinners for the whole Riepe house each month. These are not to be missed! Stay tuned for other regular events at the Stornaiuolo house that include cooking lessons, Italian language and culture events, and writing support. Joining us this year is Dr. Sebastián Gil-Riaño. Sebastián is an Assistant Professor in the Department of the History and Sociology of Science, with particular research interests in race, gender and globalization in the history of science. Sebastián, his wife Adriann and their adorable young son Arturo can be found in their apartment located in Cleeman on the second floor. Sebastián and Adriann host Sundae Sundays in their apartment, with lots of sweets and nature documenteries! Be on the lookout for the monthly Riepe Writing Retreats, hosted by Sebastián and Amy. And of course House Dean Dr. Marilynne Diggs-Thompson (or Dean Diggs, as you’ll learn to call her) completes the Riepe faculty team. Besides making Riepe hum along like a well-oiled machine and cooking up impressive amounts of terrific homemade food for everyone, she teaches in the Anthropology department as an Adjunct Assistant Professor, with special interests in the anthropology of consumerism and markets. She is assisted in the Riepe House office by Alaina (Lainie) Bailey, who is the Riepe House Coordinator. As a recent UPenn graduate, Lainie can be a great resource regarding all things Penn. Last, we have a wonderful staff of RAs and GAs. They are incredibly helpful and a lot of fun! Among many other things, they will help you to settle in to Penn, and to explore the great city of Philadelphia! 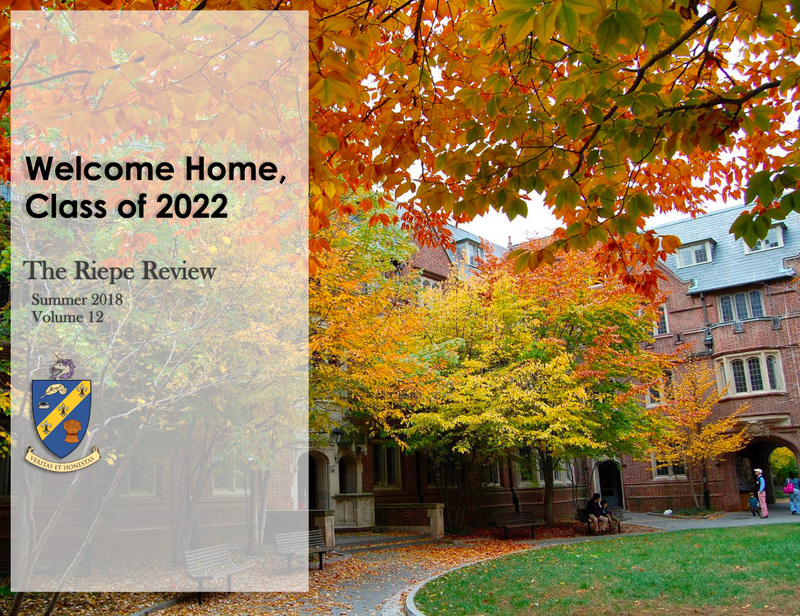 All of us are looking forward to another great year at Riepe, in the Quad, and at Penn. We look forward to meeting all of you soon and to welcoming you as part of our Riepe House family! See you in late August! Click below for our 2018 Summer Newsletter!